by Pete Souza Author · Barack Obama Author of introduction, etc. Relive the extraordinary Presidency of Barack Obama through White House photographer Pete Souza's behind-the-scenes images and stories—some published here for the first time—with a foreword from the President himself. During Barack Obama's two terms, Pete Souza was with the President during more crucial moments than anyone else—and he photographed them all. Souza captured nearly two million photographs of President Obama, in moments highly classified and disarmingly candid. 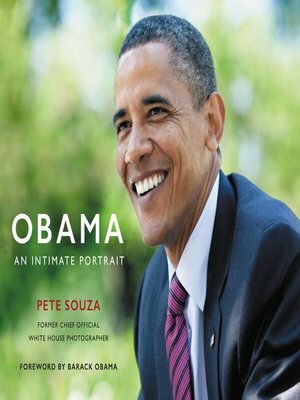 Obama: An Intimate Portrait reproduces more than 300 of Souza's most iconic photographs with fine-art print quality in an oversize collectible format. Together they document the most consequential hours of the Presidency—including the historic image of President Obama and his advisors in the Situation Room during the bin Laden mission—alongside unguarded moments with the President's family, his encounters with children, interactions with world leaders and cultural figures, and more.